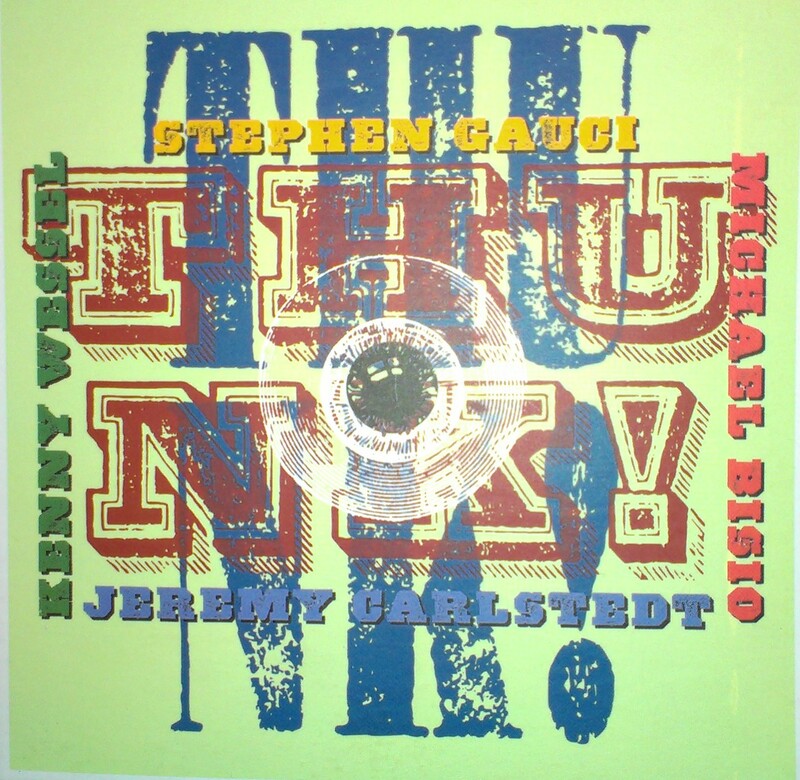 Stephen Gauci is recognized as one of the leading saxophonists on the New York City improvised music scene. Musicians he’s performed with include William Parker, George Garzone, Sabir Mateen, Tony Malaby, James Emory, Karl Berger, Kenny Wessel, Kris Davis,Tyshawn Sorey, Herb Robertson, Ben Allison, Marc Helias, Matt Maneri, Roy Campbell Jr., Daniel Carter, Steve Swell, Mike Bisio, Jay Rosen, Lou Grassi, Whit Dickey, Kirk Knuffke, Kenny Wollesen, and Graham Haynes. er International Jazz Festival (New York), High Seirra Festival (California), Bumbershoot Festival, Folk Life Festival, Earshot Jazz Festival (Seattle, WA), and the Vision Festival (NYC). He has toured throughout Europe including Sweden, Germany, Austria, France, Hungary, and Portugal. 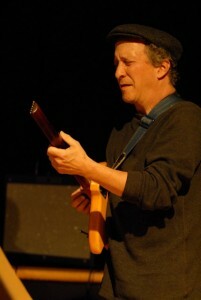 Ken Wessel is a versatile, sensitive and soulful guitarist and composer. A vital and personal voice on the jazz guitar, Wessel has been involved in projects playing jazz, ranging from straight-ahead to free music. Ken is also very interested in creating and investigating points of intersection between jazz and Indian music and has performed and recorded with musicians from various parts of the globe. 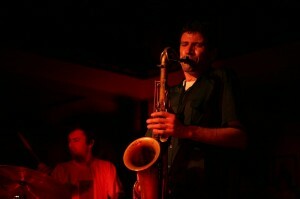 He has performed in 26 countries at major jazz festivals, concert halls and in radio and television appearances. zz ensemble, Ken has appeared with Kurt Masur and the New York Philharmonic and London’s Philharmonia Orchestra. Dance Company. As a U.S. Jazz Ambassador, Ken has toured South Asia and South America, visiting India, Thailand, Sri Lanka, Bengladesh and Venezuela in 2002-03. • A dedicated jazz educator, Ken is currently on the faculties of the Music Conservatory ofWestchester and Rutgers University. He has given clinics and Master classes at numerous institutions in the U.S. and overseas, including Yale University, Manhattan School of Music, Mahaidol University in Thailand, Music Academy in Oslo, and Columbia University. Michael Bisio invariably astounds audiences with the beauty of his tone and the intensity of his very personal musical language. His music has received 4 1/2 stars from DownBeat, Jazz Times states his music “resonates with intelligence, emotional depth and probing virtuosity.”Michael appears on over 60 cds, he is leader on 11 cds and co-leads 10. His recorded output has consistently met with critical praise. Michael’s first international release, In Seattle, (Silkheart), was chosen as one of the “Best Jazz Records of the 1980′s” in the Village Voice. Connections, (CIMP), 2005, as reviewed in Cadence Magazine. “…this is another important disc from Bisio and company that highlights Bisio’s talents as a musician, composer and bandleader.” Fourteen new releases in 2009 included two MBQ cds for CIMP and Not Two, two cds by Tomas Ulrich’s Cargo Cult, and Old Dog, By Any Other Name, (Porter Records). 2010 saw the release of Session at 475 Kent, duets with the highly acclaimed pianist Connie Crothers (MutableMusic) and Scanner with The Post Modern Jazz Quartet Blink of an Eye (Thirsty Ear). 2011 releases include Michael’s first solo effort Travel Music (MJB) and the highly lauded Matthew Shipp trio recording Art of the Improviser (Thirsty Ear). New York City based drummer/songwriter/vocalist Jeremy Carlstedt, known for his dynamic style, organic feel on the drums and musical intuition, has performed with some of the most forward thinking artists in jazz, rock, electronic and world music. 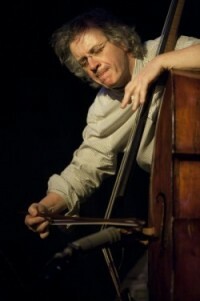 As a protege of the legendary Chico Hamilton, Jeremy has absorbed music history in the best possible classroom: on the bandstand as a member of Hamilton’s group Euphoria as well as Vincent Chancey’s Phat Chance, Brian Settles and Central Union and a new duet with Tim Motzer, which have put him on some of the world’s most prestigious stages including, The Kennedy Center, Lincoln Center, Newport Jazz Festival, Syracuse Jazz Festival and Roulette. 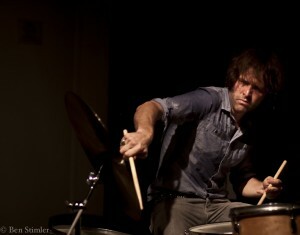 With more than a dozen releases to his credit, Jeremy’s first solo recording, ‘When I Wake Up,’ an art-rock EP featuring his drumming, vocals and compositions, was released in October 2012 on 1k Recordings.